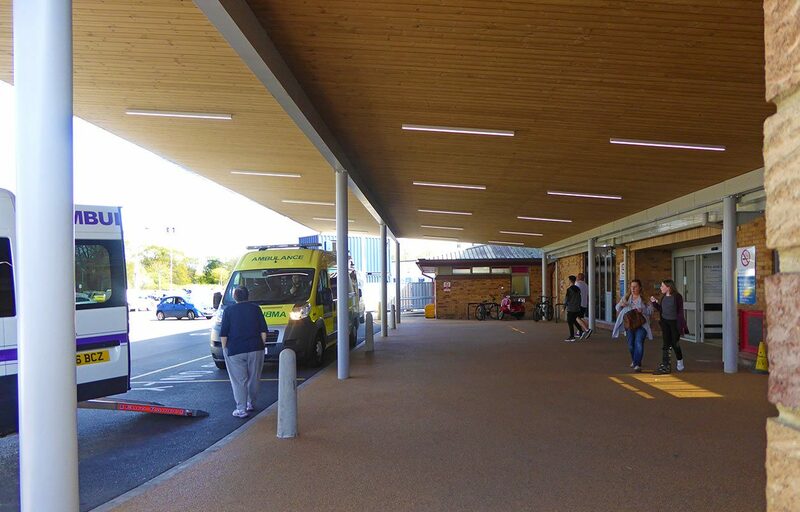 Surrey & Sussex Healthcare NHS Trust approached Fordingbridge to design and build a new canopy for their East Entrance after a fire caused damage to the previous canopy. 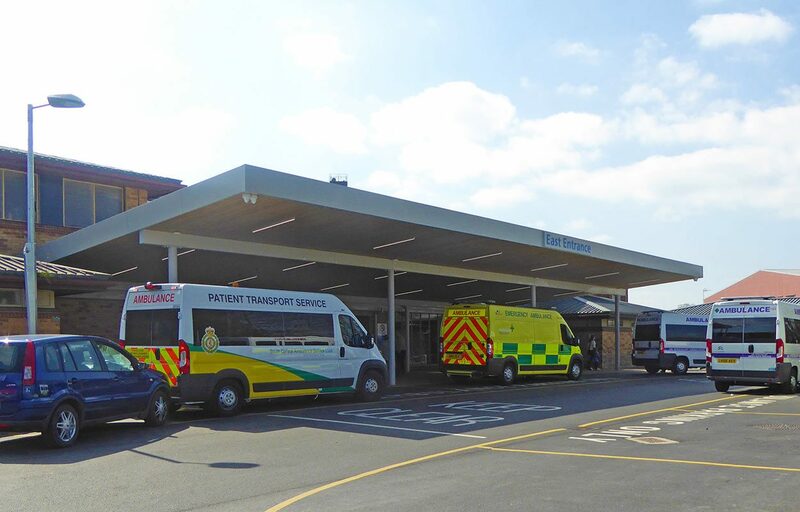 The Trust took the opportunity to upgrade the complete entrance area to improve vehicle flow and to protect patients arriving by ambulance, or patients being dropped off by car, from the elements. 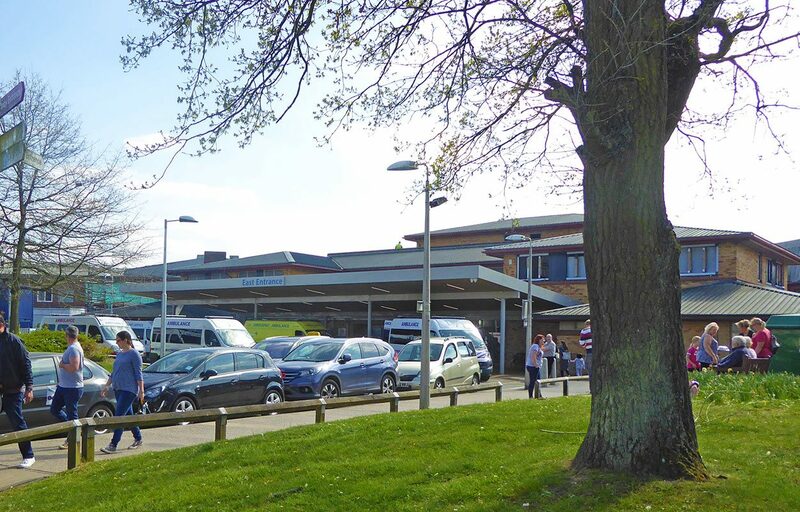 Fordingbridge worked with the Trust to design and build an aesthetically pleasing 27m x 10.7m steel canopy to cover the entirety of the entrance. 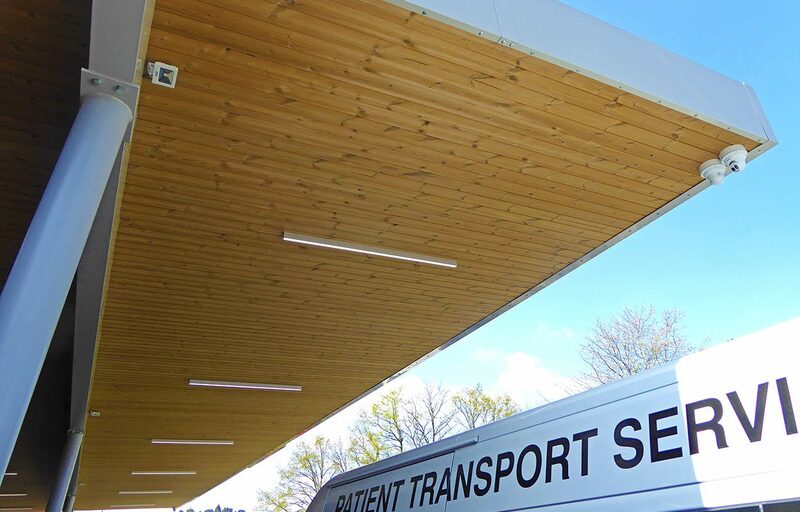 The height of the canopy allows Ambulances to arrive and unload patients completely protected by the canopy’s 4.3m front cantilever. As it has been found that without a canopy, transferring patients on an uncovered pavement leaves users at risk of getting wet and cold. Timber cladding was used on the soffit to bring a modern aesthetic and warmth to the canopy’s material palette. 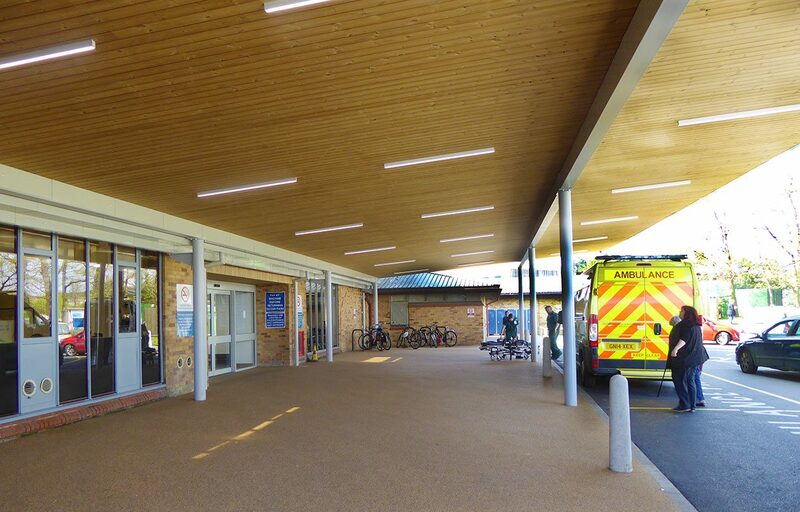 Fordingbridge integrated the canopy design with the Trusts’ lighting designer and groundworker, resulting in a cohesive revamp. Fordingbridge installed the canopy in three weeks. The install involved careful planning to avoid disruption to a live site in use 24/7 and coordination with other contractors. 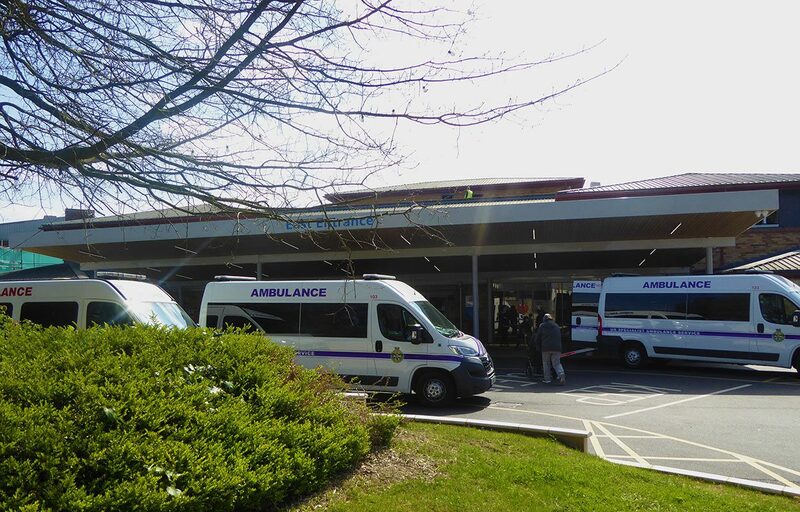 “The East Surrey entrance canopy suffered major fire damage in 2016 and the Trust decided to replace with a complete new canopy design. Fordingbridge were asked to submit a canopy proposals based on architects concept and were awarded the detail design and installation contract. 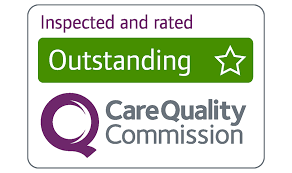 The work was undertaken by Fordingbridge who completed the work with a 3 week period with minimal disruption to patients and visitors.